What Makes the Best Options Trading System Stand Out From All the Others? The best options trading system is one which shows you the art and science of trading as a business. There are two components to this program. 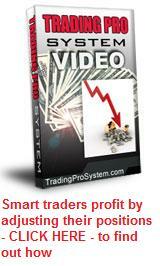 Firstly, let take a look at what the best options trading system I know of hopes to achieve. In the first section, you are shown how to generate a consistent income on a monthly basis just like any other business. The important thing to remember, is that we want to have a monthly income stream. In order to accomplish this, we’re going to be using options as our primary trading vehicle. Every business manages their financial interests based on numbers and that’s exactly what we’re going to do in ours. This is a real business - one in which you are buying and selling. Any business that buys and sells things, whether it’s a bakery, an auto repair shop or a merchandising store, buys its stock from somewhere and then sells it to a customer. The very same thing happens in the options business - you’re buying and selling. Let me give you an example of how many people actually try to make our money in the markets. In order to appreciate how the best options trading system works we first need to grasp some concepts. It's all about supply and demand. Let’s take a stock which is currently trading at $23.25. You will have people in the market who believe this stock is going to go up, while others believe it’s price action will fall. This is what makes a market. Looking at the options on this stock, we have calls and puts. People purchase call options if they think the stock price is going to rise. They buy puts if they believe the stock will fall. If we take a look at what is called "at-the-money" options with a $27.50 strike price, which expire in 24 days. If you're thinking of purchasing call options they will cost around $0.40 while the put options will cost $0.70. So let’s say you purchased the call options at $0.40. At this price the options have no real value because the stock is trading at $27.25. So not only do you need to be accurate as to your timing, because the stock would have to move quickly in order for you to make money, but you also have to be accurate as far as direction goes - the stock has to move up. Perhaps you purchased the put options for $0.70. Not only would you have to be correct as to the direction of the stock (it would have to move down in order for you to make money) but your timing would also have to be correct. 1. Prices of the underlying asset and associated options will fluctuate. 2. All options contracts will expire. In the USA, options normally expire on the Saturday following the trading day of the third Friday each month. You also have a number of selections as to expiration months. If you purchased options with only 24 days to expiration, as in the case above, and the stock didn’t move in your anticipated direction, the option contracts would slowly erode in value. The reason for this, is that your option contract gives you the right but not the obligation to purchase the stock at the strike price, in this case $27.50 before the third Friday of this month. As we get closer to that date, the probability of the stock moving up beyond the strike price, diminishes at an increasing rate. Consequently, the option has less value. This is exactly what the person who sold it to you is hoping will happen because this is how they will make their profit. But what if you had purchased the put option that gives you the right to sell the stock at $27.50? You would be hoping the stock price would fall so that you could buy it at say, market price of $22.50 then use your option rights to sell it at $27.50 making a $5 profit per share. But if the stock price goes nowhere, the same thing is going to happen to the option value as it did for the call options. When the price of the stock for which we hold our put options, is below the strike price, this is called "in-the-money". In-the-money options have a price component called "intrinsic value" as well as another component called "extrinsic value". The way you can determine these components is by taking the difference between the strike price and the market price of the underlying (if it's in your favour) to calculate the intrinsic value. Whatever is left over is extrinsic value. The further in-the-money an option goes, the less extrinsic value it will have. This extrinsic value is also called "time value" because it represents the probability that in the time left to expiration, the options will be in-the-money, expressed as a value. The important thing to remember, is that when we trade for monthly income, what we hope to do, is sell both sides - calls and puts. The reason for that is because the stock cannot be in two places at one time, so we will make money on one side or the other. To achieve this, we use calendar spreads and the sale of vertical spreads. More specifically, double-calendar spreads and iron condors. Some of the best securities to apply these option strategies to are Exchange Traded Funds (ETFs) whose portfolios are directly linked to some of the major stock indexes. When you put these types of positions on, they normally show a loss at first, as you can see from the graph below. Our position has two breakeven points at the extreme ends but the current market price is right in the centre of the graph, where you’ll observe the opening loss is at about $90. However, because we are the seller of these options, the two absolute rules of options trading will apply. Prices will fluctuate and these options will eventually expire. We plan to take advantage of both these rules and that’s why this is the best options trading system you'll find. As time passes, the white line will continue to rise until it comes close to the green line, which shows how much the positions will make at expiration date. The best options trading system takes advantage of those options which are out of the money and which have a low probability of being worth anything at all by expiration date. Does this work out all of the time? Well ... it does and it doesn’t. The reason is, that prices fluctuate. For example, if you put this position on then prices suddenly ran up very high, almost to your breakeven point, what would you do? You would be in a losing position. If you’re close to expiration however, you might be showing a small profit. The real key to making this system work are adjustments. Adjustments are everything! This is where a lot of option players make a mistake; they don’t adjust their positions. Just like any business, when we’re not making a profit we have to adjust our strategy to take advantage of new market conditions. This is exactly what we do in our business of trading. We might know the science of trading but we have to add to it the art of adjustments. Not only so, but to do so on a portfolio basis rather than merely on individual options positions. The best options trading system I've seen and which explains all this and more and in great detail, is the popular Trading Pro System. It contains over 40 hours of video tutorials which explain in great detail how this system works and why it will change the way you see options forever.